As an HEC Montréal alumni, you are entitled to a number of benefits and preferred rates from the following partners. We are pleased to offer dividends to HEC Montréal alumni who sign up with TD Insurance. These dividends help you save even more on the purchase or renewal of an insurance policy over and above the special group rate you already receive. Take advantage of your discount to renew your insurance coverage or become a new client. Contact an experienced TD Insurance advisor today by calling 1-866-352-6187 or go to the TD Insurance website. Exclusive privileges available to HEC Montréal alumni! With National Bank, you can simplify your financial management and save up to $1,090 a year with a banking solution created specifically for business professionals. 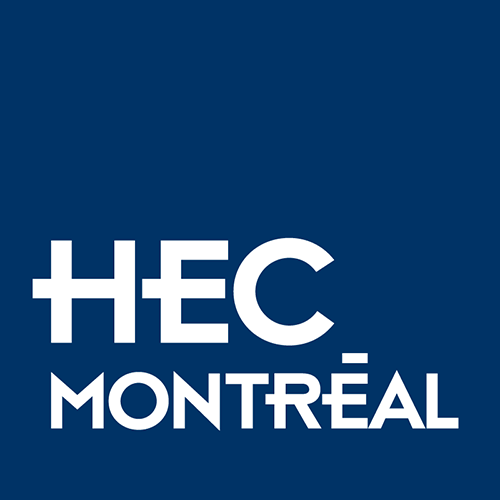 HEC Montréal graduates can now enrol in the Alumni HEC Montréal insurance plan underwritten by the Manufacturers Life Insurance Company (Manulife Financial). This invaluable coverage provides competitive group rates and a number of coverage options, such as temporary life insurance for members and their spouses, life and accident insurance for dependent children, income insurance in case of disability, serious accident insurance for members and their spouses, and complementary health and dental care insurance. For more information, visit our website, call us toll-free at 1-888-913-6333 (weekdays from 8 a.m. to 8 p.m. ET) or email us at your convenience. Enjoy the privileges of belonging to one of Montreal’s oldest and most prestigious private clubs, alongside some of the city’s most influential CEOs, senior executives, partners and business owners. Sign up now and save! Alumni HEC Montréal deal: $1,175 (plus taxes). That’s almost 25% off regular membership dues! For more information, call 514-866-7474 or visit the Club’s website. HEC Montréal students and graduates, as well as the members of the HEC Montréal greater community (employees, family and friends) can take advantage of a corporate rate at all hotels under the Groupe Germain Hospitalité banner and show their support for the HEC Montréal Foundation. HEC Montréal students and alumni get 15% off the regular rate during their stay at Fairmont Le Manoir Richelieu, Fairmont Le Château Frontenac, Fairmont Le Château Montebello, Fairmont Tremblant and Fairmont The Queen Elizabeth. This special rate depends on availability and is not applicable during holiday periods. Please also note that reservations for groups of 10 rooms or more are not eligible for the 15% discount. You will be asked to provide proof of status when making your reservations to confirm that you qualify. Make your season on the slopes one to remember with this fantastic deal from Mont-Tremblant. HEC Montréal graduates can get a one-day lift ticket for only $79, a 20% discount on the current SkiMax ticket price. Choose the number of tickets you want to buy and click Add to basket (your discount will be applied later in the process). Choose the Continue shopping option if you wish to have your tickets delivered by Xpresspost. Log into your account or create one, then click on Continue. Enter your payment information and promotional code (hecmtl). Your discount will be applied at this time. Pick up your tickets at the ticket office or at Guest Services (valid photo ID required). * Royalty and taxes extra. Rates, dates, royalty and taxes are subject to change without notice. PowSki offers some great packages for a number of ski and snowboards resorts (up to 50% in 40 ski resorts). HEC Montréal graduates are entitled to a 50% discount on the $20 annual membership fee. Discover the range of special deals available to members. Follow us on Facebook and subscribe to our newsletter (in French only) to keep abreast of the discounts and privileges available to you. As an HEC Montréal alumni, you are automatically signed up for our monthly newsletter outlining various Alumni HEC Montréal activities. Read up on upcoming events, corporate appointments within the HEC Montréal alumni community, job offers and more. Published three to four times a year and automatically sent to all international graduates of Alumni HEC Montréal, this publication features news from HEC Montréal graduates who are making a difference around the globe. Also included are updates on various international activities, executive appointments and projects. Now available online, HEC Montréal Mag is a premier source of information for HEC Montréal alumni, published twice yearly. Peruse the latest issue now. HEC alum can enjoy a subscription to Gestion magazine for 50% off the regular price (using the discount code “DIPLOMÉ50”). Gestion provides the French-speaking business community with expert insight and innovative analysis with an accent on clarity, simplicity and accessibility. Available in print, electronically and online at revuegestion.ca, Gestion is a respected authority on issues related to management, leadership and entrepreneurship. These alumni-only services include a wide range of activities and resources to help you move forward in your career path. All alumni, from the Class of 1997 onward, are assigned a lifetime hec.ca email address upon registration. Keep up on the latest rewards available to you as an HEC Montréal alum through our newsletters and social media . Interested in making your discounts and privileges available to Alumni HEC Montréal members? Contact us at alumni@hec.ca or by phone at 514 340-6025.